Organizers from Building Trade Affiliate unions are constantly engaged in organizing activity. 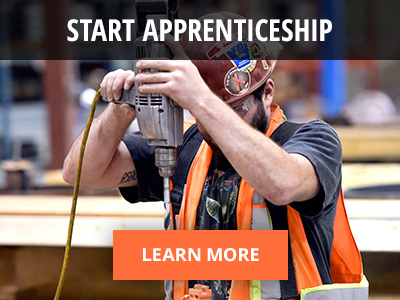 Workers who are not represented by any union, or workers who want to change their representation to a Building Trades Union, are always welcome in the family of unions covered by the BCYT-BCTC. Joining a Building Trades construction union is easy. You simply fill out a membership application with your name, address and other details and sign the card. Initiation fees vary among affiliates. Many affiliate initiation fees are nominal or non-existent. Once a minimum of 45% of a company’s employees have signed membership cards, an application can be made to certify the union as the organization with a legal obligation to represent that company’s workers. In order for certification to be granted, employees must then vote in favour of the union making the certification application. A vote in favour of the union requires the support of at least 55% of the workers. If you are interested in belonging to a Building Trades Union, and organizing your fellow workers, please contact the affiliate union representing your trade. Check the Affiliates page to find the appropriate union. If you are unsure about which affiliate union to call, or if you have any questions about how to organize, call our toll free number below and we will be glad to help you become organized.